Blue Satin Rose of Sharon is a deciduous shrub with outstanding ornamental appeal. It would be a stunning accent plant near your porch or patio. The ability to shape Rose of Sharon also makes it a prime candidate for hedges. Your Blue Satin is a vigorous, bloom-happy shrub. It not only gives you plenty of flowers, but boasts the most beautiful coloring in the Hibiscus world. It just doesn't know when to quit! Blue Satin has larger flowers and better color, with more branching. All of which contributes to it providing an all-around longer show in your yard. You'll love its huge 3-inch blooms. The magenta throats and ivory center of each flower complements the strong royal blue tone of the petals for a simply dazzling effect. The flowers are exceptionally uniform in color as well, so you won't have any "washed out" end-of-season blooms with your Blue Satin. Blue Satin is a profuse bloomer that not only blooms late, but leafs out late as well...prolonging your enjoyment of its beauty in your yard. Rose of Sharon prefers full sun and well-drained soil, but will tolerate part shade as well. 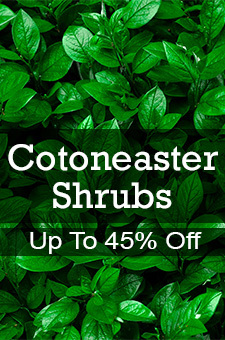 It's tolerant of heat and drought, so its a great choice for those hot, dry spots in your yard where other shrubs are not happy. It's even pollution-tolerant, so planting one on a city lot is no problem. For a shrub with stunning beauty that's easy to care for, you can't go wrong with a Blue Satin Rose of Sharon.